Want to nominate a player? 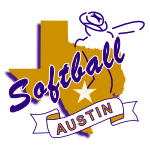 Email halloffame@softballaustin.org for more information or fill out this form. 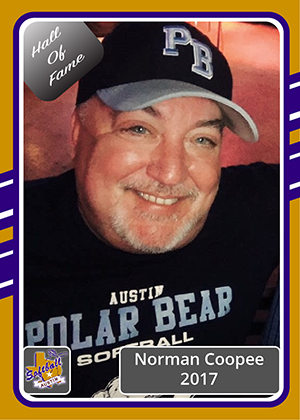 Norman has been part of Softball Austin since Spring of 2008, when the Polar Bears softball team was created. Playing as a second baseman, he quickly found out that playing softball was not his forte, but didn't want to leave this fine organization of friends. After three seasons of being a player, the opportunity to become the manager of the Polar Bears was available, and he quickly jumped into those shoes, leaving his cleats behind. He has been managing the team ever since. Norman also served on the Board of Directors as Competition Coordinator for 2 years, several Texas Shootout Committees, and most recently, as the Hospitality Director for the 2016 GSWS here in Austin. He has been with his team to 4 World Series, in Milwaukee, Minneapolis, Columbus, and Austin, and many out of town tournaments in Las Vegas, Houston, Dallas, and New Orleans. 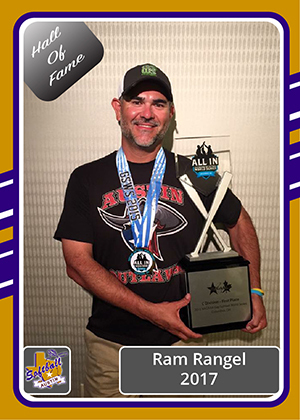 Ram Rangel is not only an original member of Softball Austin but he is also a member of Austin's first gay softball team that pre-dated the league. He played on the team that trounced a local radio station, 11 to 4, in a charity game known more as a game to see if the gay community could actually field a team that could compete. He has been competing in our league for 13 years. He left Austin briefly in 2008-09 for a job in Houston. Thankfully, he came back. The then-third baseman played for the Austin Bat Boys. He was on the very first team Austin sent to the Gay Softball World Series in 2005. The team traveled to San Diego and actually won a game, 5 to 4, over a team from Phoenix. But he himself had been to a GSWS the previous year playing for the Houston Bucks who placed 5th in the B division. That team went the Dallas GSWS where Ram discovered just how big the GSWS is but more how welcoming how welcoming the players were ... and still are. He would play for and attend World Series for the Bat Boys in 2006 (Ft. Lauderdale), 2007 (Phoenix), and 2008 (Seattle). His willingness to see the league grow can be seen in his starting teams and recruiting new players for them. In 2005 he started the Austin Closers of the D Division. The next year he brought another D team into the league, the Austin Power. His first C team was formed in 2007 when the Austin Rams started. He helped lead that squad to a win in the Houston Lone Star Classic. In 2010 he helped start the Austin Stealth of the C Division. That team would go on to finish in second place in Austin's Texas Shootout. Ram has been a staunch supporter of the league for the many years he has been a member. One of his strongest attributes is his ability to watch a player and provide feedback on his/her rating. His knowledge in this area makes him one of the first members sought out when a player's rating might be in question. He has served on the Ratings Committee when asked. He has also served on the league's Ethics Committee. In short, he is always willing to help his league when the league needs him to do so. Perhaps the crowning achievement in his time with Softball Austin came in 2015 when the GSWS was held in Columbus, OH. Up to that time only one Austin team had ever won a GSWS. After the Columbus series the number doubled as Ram led his Austin Outlaws to the C Division Championship. He and his team had an amazing run winning nine of the ten games they played ... the other game, in pool play, ending in a tie. His ability as a player combined with his dedication to his teams and league and his advocacy for Softball Austin make Ram Rangel a Hall-of-Famer. 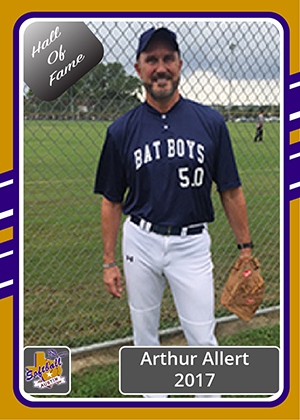 Arthur was an original member of Austin's first gay softball team, the Bat Boys, in 1998. He worked to recruit additional players and teams and coordinated efforts with the city to create the first gay division of five teams in Austin City League in 2004. He served as interim assistant commissioner and coordinated operational efforts for the new division and league including Austin's first representative at a NAGAAA and writing the articles of incorporation and was an instrumental figure in the creation of Softball Austin. Arthur has played in at least one season every year since 1998 on the Bat Boys, Shockers, Wranglers, Rams, Whackers, Chaos and Bat Boys 5.0 where he also served as either coach or co-coach as well as playing. He has been a part of multiple division winners and tournament champions as well as team MVP twice and currently is one of only two players in the league over 60 to be actively playing.